Discover this beautiful EcoCamp selected by Original Glamping. EcoCamp is situated in the very heart of Torres del Paine National Park and provides the region’s first fully sustainable accommodation, complete with green technology. You enjoy guided treks and wildlife excursions by day and share evening meals with new friends, before falling asleep gazing up at the star-filled sky through your dome ceiling. 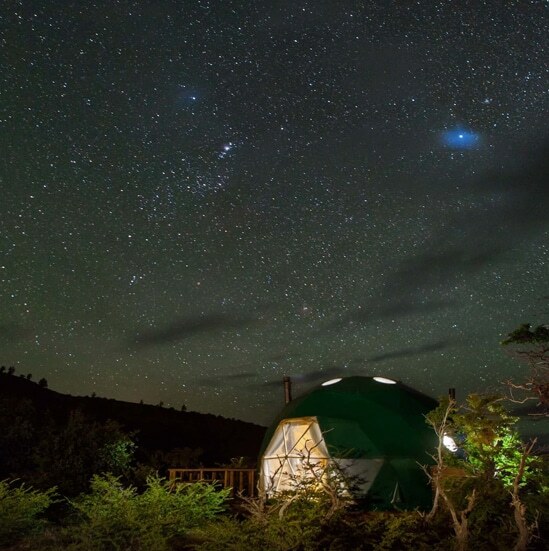 Wake up in the middle of the Patagonian wilderness in a cozy geodesic dome, with a panoramic view of the majestic Torres del Paine, ready to pick up the hiking trail!